Digital synthesizers have several advantages. Traditional keyboards also have some great advantages. Digital pianos are fantastic musical instruments! Last week at church, I heard what I thought was a guest orchestra warming up for a praise concert in the sanctuary. I looked in to see who and what they were, but I didn’t see any instruments or any people there. Then, I caught sight of a little head bobbing up and down just above the keyboard. It was a 6-year-old child making all sorts of amazing sounds with effects on our digital Korg piano, and she was just having fun! Although at first digital pianos were not so well favored with traditionalists, the historical gap between traditional pianos and their electronic counterpoints is narrowing these days. 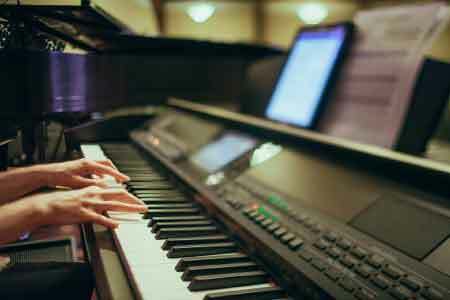 Digital pianos today can stand up to any set of keys from a concert piano to a baby grand. They offer the best of both worlds. 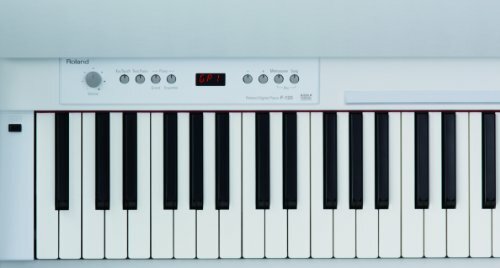 Both professional and beginning pianists will be able to find a worthwhile digital keyboard because there is one for every skill level or budget. 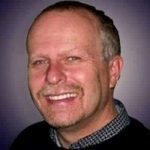 It is my purpose in this, The Ultimate Digital Piano Buyer’s Guide, to equip you with the information you will need to find the one that is perfect for you. There are basically two roads to choose from when shopping for a digital piano: traditional or experimental. The choice is yours. If you desire an instrument that duplicates the performance of a traditional piano or organ, go traditional. 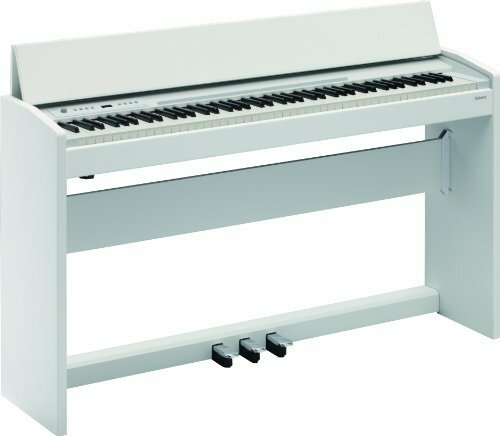 Ideal for student practice these have 88 weighted keys and sustain pedals. Or, if you want a multifunctional synthesizer, mainly for personal entertainment, go experimental. 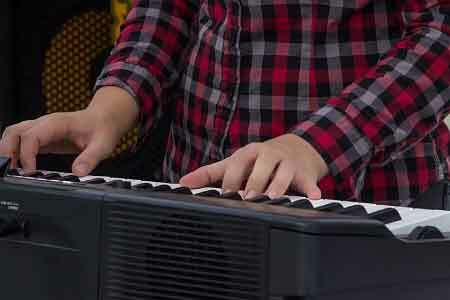 A small synthesizer with fewer spring-loaded keys is most likely better for recreational use. Of course, consider your budget. You can spend from hundreds to thousands of dollars for a digital keyboard. Sometimes the differences are merely cosmetic, but the more expensive ones are targeted at serious and professional musicians. They run from less than $100 for an entry level Casiotone to $3000+ for a professional grade Korg synthesizer. As such, it’s important for keyboardists to understand the pros and cons of digital keyboards at all price points. They have removed much of the work from musical performances. All you have to do is press a button to get a very sophisticated rhythm track that includes bass variations, drum fills and intro/outro options. On some keyboards, there are buttons that you can press to automatically add the appropriate chords to a single note. Often keyboards include digitally sampled voices that can mimic other instruments, for example, a saxophone, string orchestra or horn section. They are not so flashy as digital keyboards, but their purpose is different. They provide an affordable option to a real piano. Traditional keyboards duplicate the action and touch of a real piano, including weighted keys and all three sustain pedals. Some of them have additional voices, i.e., organ, strings, and brass. Some have the same digital voice as synthesizers. 50 classic piano songs are provided in the built-in song memory as well as in a music book, "50 Greats for the Piano"
The touch button on the Yamaha ARIUS lets you choose between hard, medium and soft settings. It also can be turned off for organ or other stylings. The keyboard has three traditional pedals: damper, sostenuto and soft for added freedom in creativity and expression. It has a half pedal capability that mimics the action of your foot. This traditional digital piano is suitable for beginners and for professionals alike. It yields a degree of artistic expression that is suitable for both. This one offers an amazing 256 voice polyphony and therefore is exciting for intermediate students who wish to grow in the area of artistic expression with their keyboard. It has eighteen different tone channels which are enough for most amateur players. However, a recording composer might want even more. 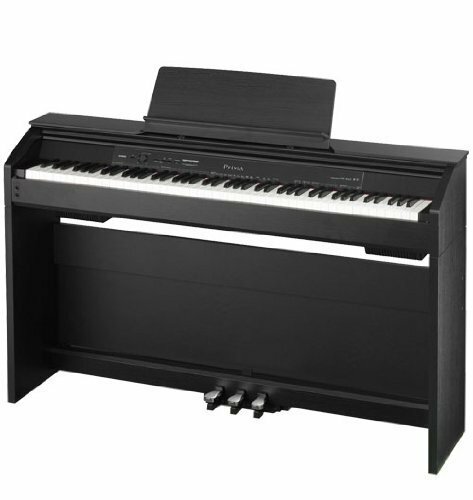 This Roland has a patented SuperNATURAL Piano Engine that delivers many realistic sounds. The company does a super job of recreating the sound of a grand piano for a reasonable price. The keys on a traditional piano are mechanical levers. When you depress a key, it engages an internal hinge and hammer. The hammer then strikes the piano’s tuned wires and that creates a note. Then a cloth damper presses on the string and stops the vibration. This puts weight on the keys and you eventually develop your technique based on that weight. There are no hammers in a digital piano so it must rely on internal technology to stimulate the action of an acoustic instrument. If the action is poor it will cause you to use heavy finger force just to make a sound. Good action feels and sounds like an acoustic piano without using too much finger force. A keyboard with touch sensitivity allows you to convey the emotion of the music by pressing keys with varying amounts of pressure and velocity. There are many digital pianos that have special sensors that measure the amount of pressure and speed that you place on each key. A lighter touch results in a softer tone while a heavier touch or a fast touch creates a louder sound with faster “attack”. This feature works well when you are performing because its changes in dynamics make the music more interesting to the listeners. A keyboard does not duplicate the mechanics of a saxophone, trumpet or strings. But one with touch-sensitive keys is capable of allowing a string section to build or a trumpet to produce sharp quick notes. Sustain pedals are important as they enable you to sustain a note or chord for a long time or cut it off immediately. In traditional pianos, these are several foot-operated sustain pedals that move the damping board closer or farther from the piano’s strings. Many digital pianos have all three sustain pedals while some have only one. Outgoing ports allow your piano to communicate with the outside world. The two most important ones are an external headphone amplifier/amplifier jack and a MIDI connector. 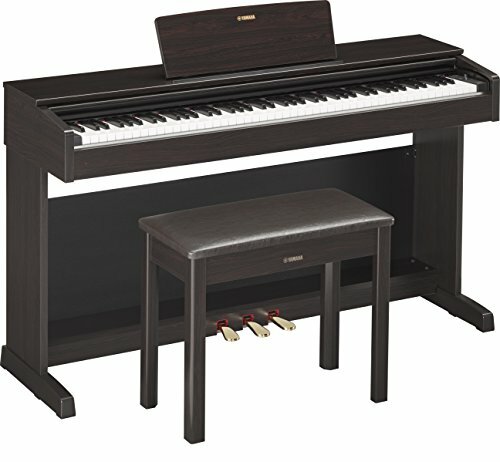 These provide the piano with the ability to connect with a mixing board or powered amplifier rated for keyboards. Pitch bend controller is a useful addition that often improves the authenticity of a voice’s sound. Usually, on the left side of a keyboard, a pitch bend wheel is a spring-loaded switch that can “bend” a note several steps above or below its original setting. Polyphony is the keyboard’s capacity to hold or sustain pitches at the same time. When a keyboard reaches its maximum polyphony, the pitches start to cancel each other out. The higher the polyphony the better. When playing in a small room or rehearsing, you do not necessarily need amplification for your digital piano. Sometimes, you may need it if you are playing in a large room. If you need to amplify, there are several ways to do it. Use a wireless lavalier microphone to attach to one of the keyboard’s speakers and then into an existing channel with a wireless receiver. 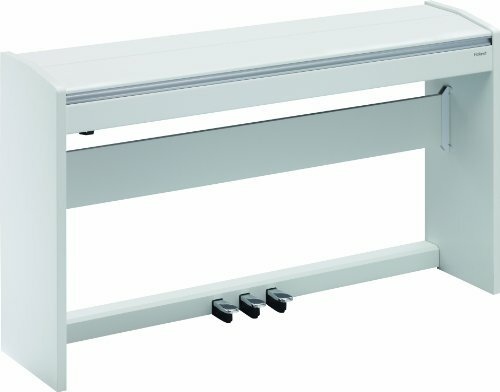 The keyboard should be positioned within the microphone’s range and the sound can be balanced through the mixing board. It’s low tech but it works. Feed the keyboard into a mixing board or preamp and then adjust the channel to the proper balance. This works well in churches and small halls where you can hear other instruments and the keyboard through monitors or PA speakers. Plug into a powered bass or keyboard amplifier. An electric keyboard is a charged instrument which means that it already has electrical power running through it. As such, it is easy for it to overpower an amplifier designed for use with an electric guitar, which has no charge in itself. Because of this, you will need to make sure that the keyboard’s volume output is reduced to avoid a major blowout. 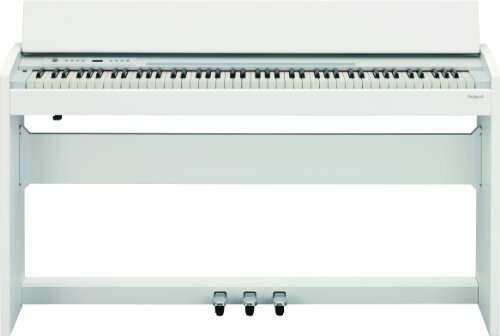 A digital keyboard is easier to transport than a traditional piano or organ. They normally do not require maintenance. Tuning to other instruments, is easy, only a matter of turning one knob or adjusting a setting. They can make amateur players sound nearly professional. They encourage you to experiment with chords and rhythm tracts and voices first, then add bass and other instrument voices. Many digital keyboards are unable to simulate the action or touch of a real piano or organ. Some of the smaller ones use lightweight plastic keys that are spring-loaded for easier playing. The keys may be smaller in size than traditional keys and there may not be 88 of them. Most digital pianos do not recreate the voices of other instruments, but they only synthesize them. Digitizing and synthesizing the sound of a real instrument definitely affects its characteristics, so it probably won’t be mistaken for the real thing. Digital pianos are fantastic instruments that can make many different sounds, I was in church last week and a 6-year-old child was experimenting on our Korg digital piano. I really thought we had a guest orchestra coming in that day to do a praise concert. She was making sounds of all different instruments and blending them with all sorts of effects, and she was just having fun! Whether you are a professional or beginning pianist, you will be able to find a worthwhile digital keyboard because there is one for every skill level and budget. 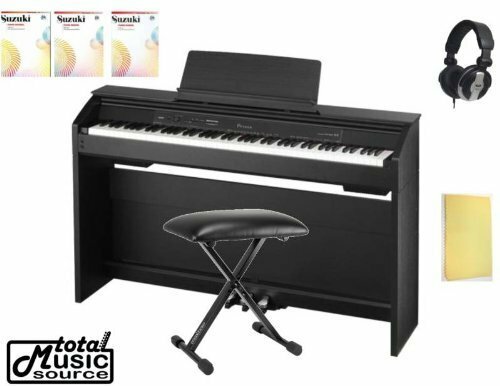 It is my purpose in this, The Ultimate Digital Piano Buyer’s Guide, to equip you with the information you will need to find the one that is perfect for you. If you desire an instrument that duplicates the performance of a traditional piano or organ, go traditional. Ideal for student practice, these have 88 weighted keys and sustain pedals. Of course, consider your budget. You can spend from hundreds to thousands of dollars for a digital keyboard. Sometimes the differences are merely cosmetic, but the more expensive ones are targeted at serious and professional musicians. They run from less than $100 for an entry level Casiotone to $3000+ for a professional grade Korg. synthesizer. As such, it’s important for you to understand the pros and the cons of digital keyboards at all price points. Now that you are armed with all this information about digital pianos, go shopping and get the one that is the absolute best for your personal needs and desires. It will be great fun!